Once tagged as ‘the garden city’, Christchurch might now be classed as ‘the city in a garden’. Its people are bringing food production into the CBD, from a hotel with beehives on the roof to an inner-city café with its own vegetable patch. 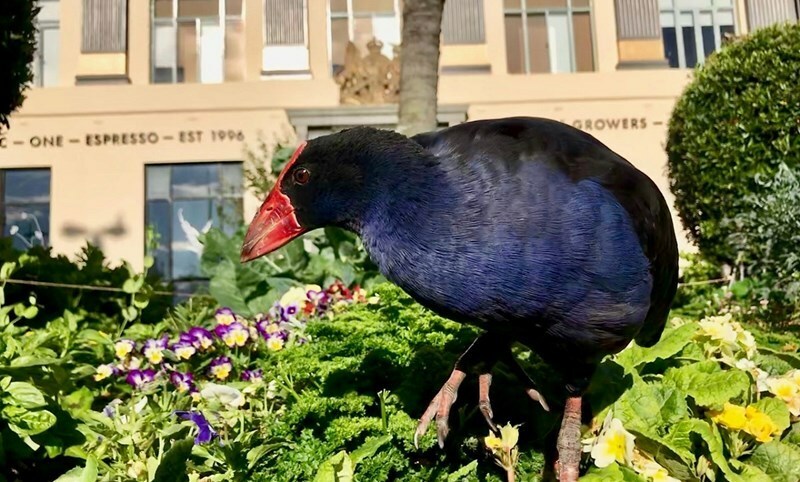 Kākano Café and Cookery School opened a couple of years ago and recently moved to its new home in Manchester Street, where its wooden garden beds spell out ‘Kakano’, which means ‘seed’. The business belongs to Jade Temepara, a busy mother of five, who says the café champions a “revamped version” of indigenous Maori cuisine. An increasing number of CBD businesses are investing in rooftop hives, including Hotel Montreal and Christchurch’s popular Ballantynes department store. Hotel Montreal has a handful of hives on its rooftop and the chef uses the honey produced in specialty dishes in the Polo Bar & Restaurant kitchen. Ōtākaro Orchard is under construction but once finished it will be New Zealand's first urban food hub, where people will be able to grow and share food, enjoy cafe cuisine and learn about the city’s sustainable local food system. It will feature Christchurch’s first ever commercial earth building, which will house a food information centre and café. Those behind Ōtākaro Orchard say the project is about “reimagining our urban green spaces as edible ones”. C1 Espresso operates out of an old post office building in central Christchurch – one of the few heritage buildings left standing after the city's 2010/2011 quakes. The café grows ingredients for its kitchen in its urban organic gardens and has a vineyard in the forecourt. C1 Espresso recycles all organic waste, glass, plastic and cardboard and is heated using waste energy from the coffee roastery and kitchen. The café’s tables and joinery are made from recycled demolition timber. Sustainable urban agriculture is on the cards for an area of Christchurch known as the Ōtākaro Avon River Corridor. It may form part of a mix of activities in an 11-kilometre stretch of land described as the “residential red zone” following the Canterbury earthquakes, owing to the houses that once occupied urban sections there. The land is currently under the microscope as local agency Regenerate Christchurch leads a decision-making process about its future. Other land uses may include wetlands, community spaces and adaptive housing.